I am honoured to be a part of Project 40 Collective‘s Creator to Creator series. In the August 10, 2017 issue, I am interviewed by Mirae Lee about my artistic life and process. 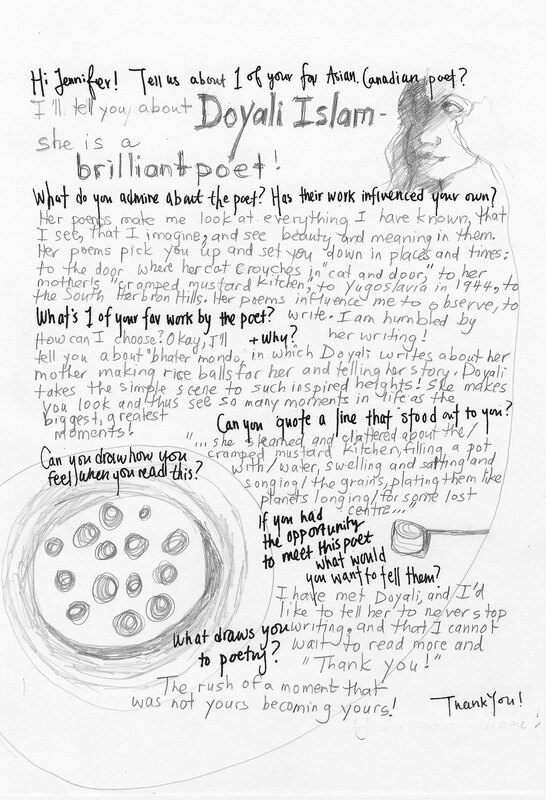 Following the interview, I answer questions about one of my favourite Asian-Canadian poets, Doyali Islam.